ACFO has outlined a five-point plan for fleets to adopt to help comply with the forthcoming General Data Protection Regulation (GDPR). The new legislation takes effect from 25 May and, according to TomTom Telematics, will be the “most important change in data privacy regulation in 20 years”. 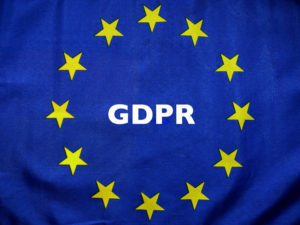 However, speaking at last week’s ACFO March webinar, Beverley Wise, sales director UK and Ireland at TomTom Telematics, also said that GDPR was “an evolution, not a revolution” by bringing information protection into the digital age with processes that were “open and transparent”. During the webinar, the second in the association’s new series of webinars that replace its previous regional meetings, Wise said there was no problem with collecting data that was for a “legitimate business interest” – for example, the capture and processing of mileage for travel management and business expense claims, fuel data capture and the use of driver behaviour data from in-vehicle telematics. But fleets need to make sure drivers are fully informed and advised about what data is captured, how and where it is being used and by whom. Who has access to the data? GDPR is not “just fleet”. Many employers have working parties established to confirm what data they have and how it is used, but if that is not the case then check who can access the data that is held for fleet purposes. What to tell drivers and make sure they understand where the data is, where it is being used and what is happening with it. For example, it is difficult to order/deliver a car if the supplier is not provided with name and address details. Deleting data loaded on to vehicle systems. Satellite navigation systems and mobile phones contain a wealth of data. It is vital to remind drivers to ‘delete’ the data or reset to ‘factory settings’ ahead of defleeting a company car or the return of a hire vehicle. The webinar is available as a download from the ‘members’ area’ of the ACFO website – www.acfo.org – along with a toolkit containing relevant guides and resources.